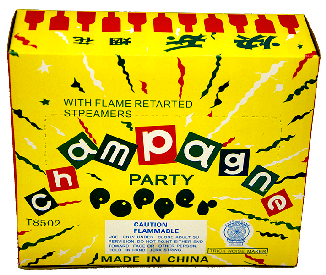 A non-firework item, this will eject a load of mylar confetti out the end with just a twist of the wrist, using compressed air no fire involved. 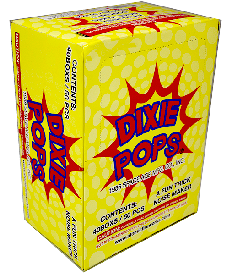 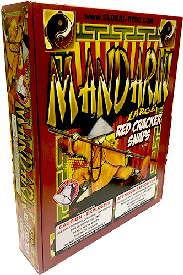 A great party favor for indoor or outdoor celebrations. 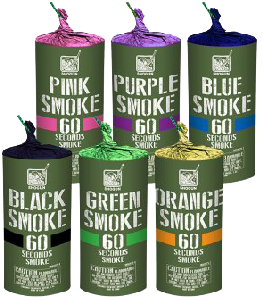 Five minutes of very thick white smoke. 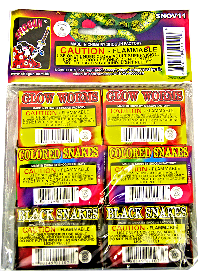 20 LOUD snaps to the box, these are the big boy snaps! 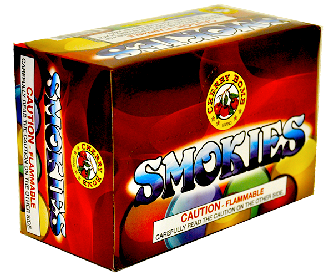 12 Smoke balls to the bag, with yellow, white, blue, and purple smoke. 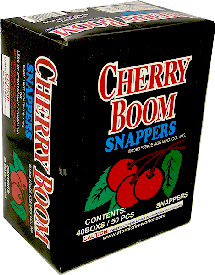 Cherry Bomb snaps, 50 to a box and safe for child's play. 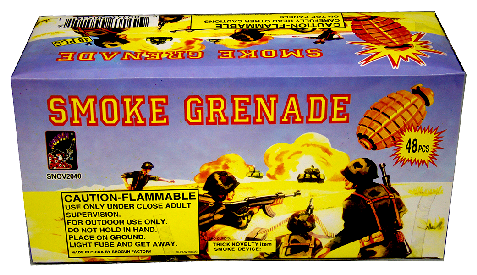 Small poppers that are safe for everyone from 5 to 50! 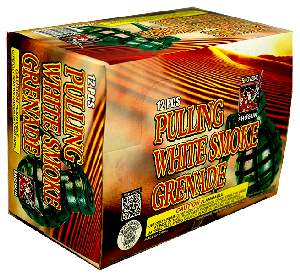 Emits a large cloud of white smoke for almost two minutes. 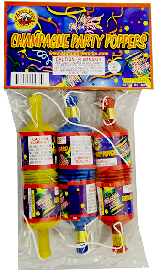 Party Poppers in a six pack bag, shoots multi-colored streamers. 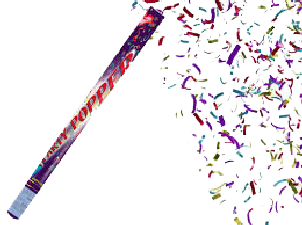 Shoots out multi-colored streamers, great for parties.